Diane was commissioned to make these two bronzes for Manor Park, both sites are off Tudor Road which leads to Norton Priory. Therefore Diane took inspiration from magical, literary works of the Tudor period. 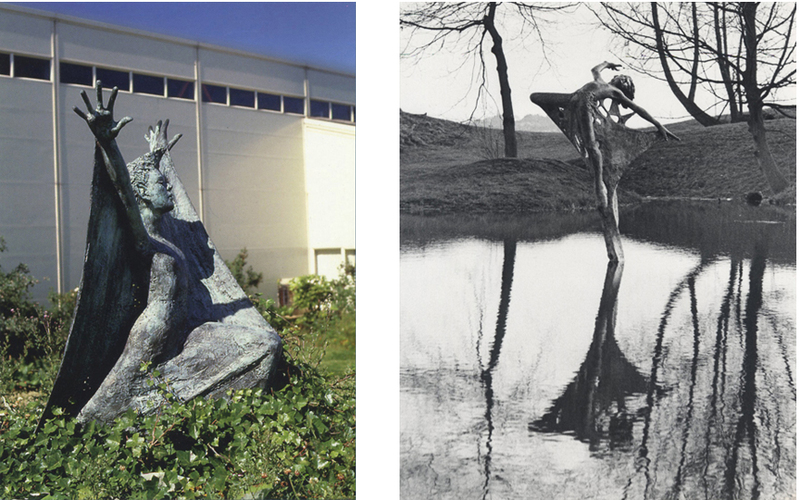 One sculpture, sited in the pond at Kitty's Pit, depicts Ariel from Shakespear's The Tempest, whilst Belphoebe from Spencer's The Faerie Queene strides forth in the landscaped grounds of a factory. Diane worked with dancer Jacqui Rowing from Ludus Dance on both sculptures, the sculpture of Ariel was developed further via a series of maquettes.